Eating Healthy The Clean Eating Plan, How To Live Well And Be Happy. The Complete e-Course Complete With Videos Audios e-Book Cheat Sheets & More.. 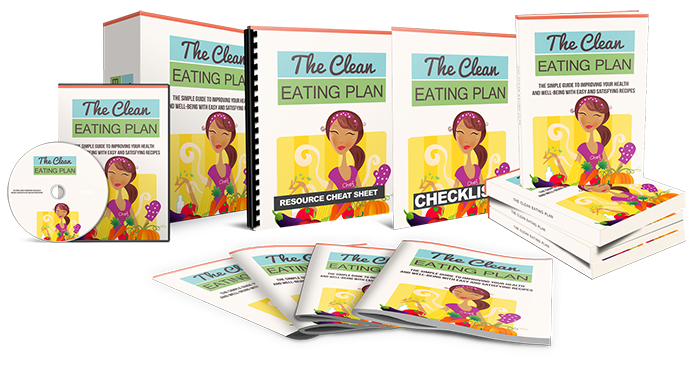 The Clean Eating Plan – The Simple Guide To Transforming Your Eating Habits. Most of us understand the importance of our health, but not all of us know how we can go about improving it. It’s somehow a complicated and easy issue at the same time. Are you working a tough day with long hours? Structuring your diet to fit around a demanding job is one of the most common problems that people reading this will face. You’re not alone. It’s not always easy. So how on Earth are you going to start eating healthy. Without spending huge amounts of time preparing meals and counting your calories?